We believe that Mickay was born in January of 2010. After being abandoned by a hunter who had no further use for him, Mickay was taken in by two young teenage boys who kept him on a short chain behind a shed where sheep and pigs were housed. When he was discovered by our volunteers Lamia and Eleftheria, Mickay was in a grave state of malnutrition. Lamia and Eleftheria began to feed and to walk him and they eventually persuaded the boys to release him into the care of the local animal welfare society. Sweet Mickay came to us at AZI a few months later and he stayed with us for five years but he has now found his forever home. His new family lives in Italy but they also have a home on Amorgos and when they met Mickay, and learned of his story, they wanted to offer him a new life. 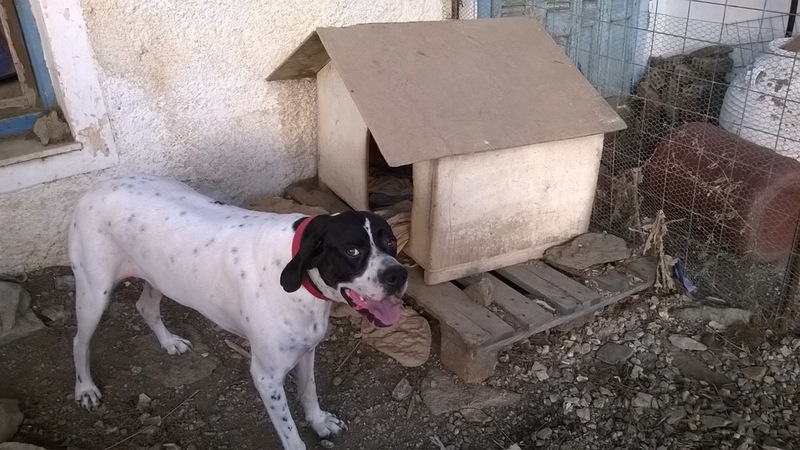 In March he traveled with Lamia Enan from Amorgos to Italy where he now lives in a huge garden in the Villa Lagarina along with five other active and happy dogs. Mickay, the loving dog who had a most difficult start in life, has finally found the safe and precious well-cared-for life that he so deserves.